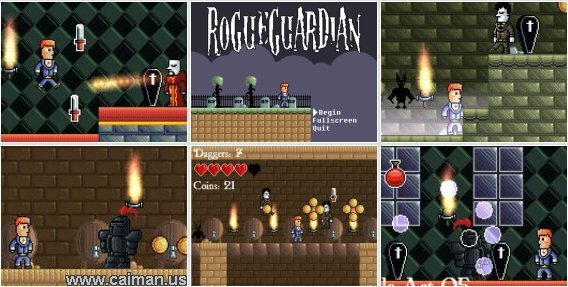 Caiman free games: Rogue Guardian by Dead Red Games. 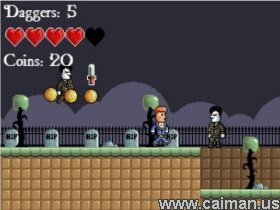 Kill vampires and other creatures by throwing daggers at them. 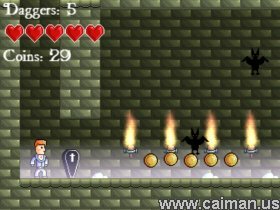 Beware, you can easily run out of daggers. I advice you to collect dagger from already fallen foes.